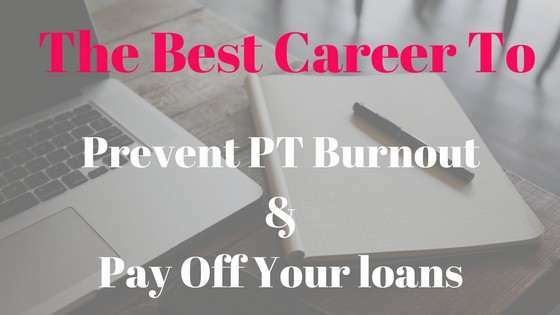 Learn how to easily start your travel physical therapy, occupational therapy, or speech therapy career, earn potentially $100,000 per year, and pay off your student loan debt in just several years! Included in my mentor package is lifetime access to my online course, top recruiters, and personalized help! All of your information will be secure and will be used only to provide you with my course, to schedule any mentor sessions you need, and to have my 3 amazing recruiters contact you! Here’s what former travel mentee’s have said about the program! I appreciate the one-on-one mentorship and that Emma is only a call or text away for advice! She has simplified a very complicated travel process. It was so informative and made me feel more comfortable with the thought of travel PT. Thank you so much for sharing this information, I greatly appreciate your mentorship! You have done an amazing work in explaining all the details of travel therapy. I would strongly recommend your program for anyone in need. I have created a free online mentorship program to make sure the transition to traveler is smooth and successful! Traveling changed my life – it helped me grow financially, it helped free me from the anxiety and depression that came with having seemingly insurmountable student loans, and it sky rocketed my career! Now, I want to help others change their lives with traveling too! All healthcare professionals are welcome to join! Full disclosure, I do receive a referral bonus from travel recruiters but this helps to afford the resources I provide for you. I have vetted numerous recruiters to make sure only the top ones speak with you and I have spent a rigorous amount of effort making sure the resources I provide for you are helpful! 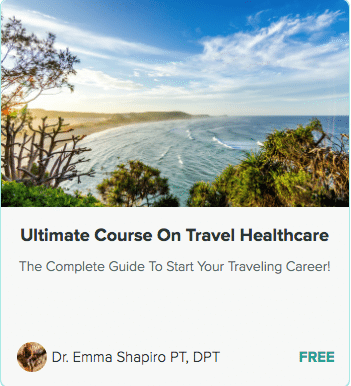 Ultimate Guide To Travel Healthcare Course -Free! Over 2 hours of content on any subject you would think of about traveling, including budgeting, negotiation, housing and more! 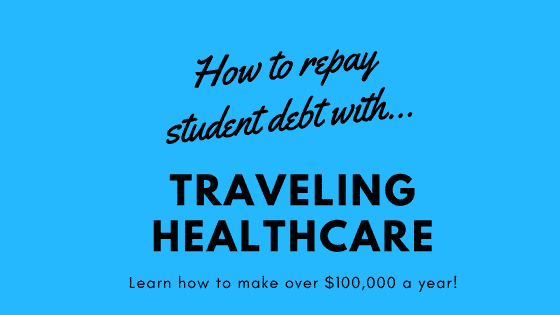 How To Pay Off Your Loans With Traveling Course -Free! Most of the fear about traveling comes from not getting good assignments or not getting paid right. To prevent this, you really want a good recruiter that is going to teach out the ways of traveling and have your best interests in mind. My team of recruiters come with years of experience and tons of amazing recommendations/reviews. They have top notch customer service, are extremely responsive to your communication, will lay out your pay packages clearly, and one offers $8000 a year for student loan reimbursement while the other offers a all inclusive vacation to a Caribbean destination. You of course get all your normal benefits as well! I listen to your needs! As I come up with more tactics or tools to help you, more content will be made and automatically synced to your course page! Don’t worry, this isn’t some intense program. I’m just always here if you want to talk about your specific questions and get clear guidance on your career or assignment choices. Besides video, each section has a checklist and PDFs to help answer any of your travel questions! Go through this course and my resources at your own pace. This course is yours forever, so you can always comeback to it later! Community support and advice in our private facebook group! How will I receive mentorship? Via email I’ll share for free all of my knowledge of travel healthcare, my online video tutorials and my course. So you really get mentorship from a variety of tools. You can always Facebook message, email, text or call me. It is 100% for free! How you might ask? I may receive a fee from travel companies for recommending them to my travelers. However, that has no influence in who I recommend, and I only recommend those recruiters who are outstanding. It also is of no cost to you. This small fee allows me to spend the hours I do making free content and teaching others. Will your information be private? Yes! I only provide your information to those recommended companies and will use your information to simply follow up occasionally to see if you need any other resources or help. What if I'm not happy with your recruiters? If you feel at any time that these recruiters are not meeting your standards, please let me know! I will personally resolve any issues. But you can always change recruiters and travel companies at any time in your career. How did you choose your recruiters? One of my recruiters has been my permanent recruiter during my travel PT career. My other recruiters come highly recommended by many other travelers, and have benefits that surpass almost all other companies, have unmatched customer service and are always available to communicate with their travelers. 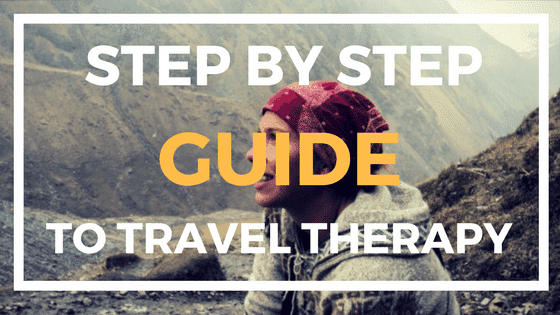 What Is Travel Therapy? Can New Grads do this? This video will give you the quick break down of traveling healthcare. If you want to skip the video, the answer is that new graduates are in a perfect position to travel- it helps you build your career, understand different settings, build financial stability or pay off your loans, and have adventure before you settle down! Travel taxes can be very complicated and is really a source of frusteration and anxiety from travelers. Get the right information now to make sure you are safe come tax season! 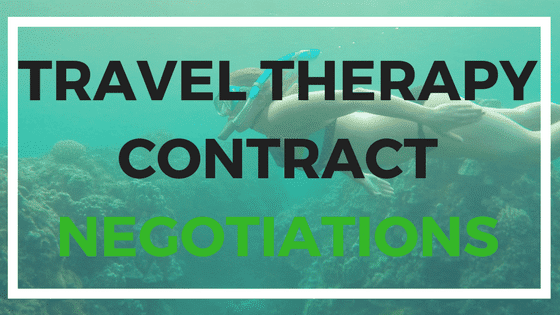 Learn how to negotiate as a travel PT,OT,SLP or any other professional including when to ask, how to ask and who to ask! 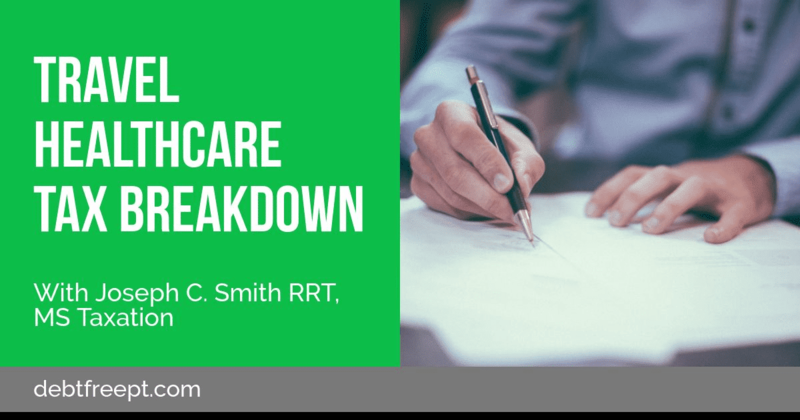 Learn travel healthcare 101, including how to research travel companies, how to secure your recruiter, how to interview, the requirements, the paperwork, and even what to do after your assignment ends!